If you rely on insulin to manage diabetes, the ouch may be more in your wallet than at your injection site. Even with insurance, you could be laying out hundreds of dollars each month. And no, it’s not your imagination. Insulin prices have been steadily rising. 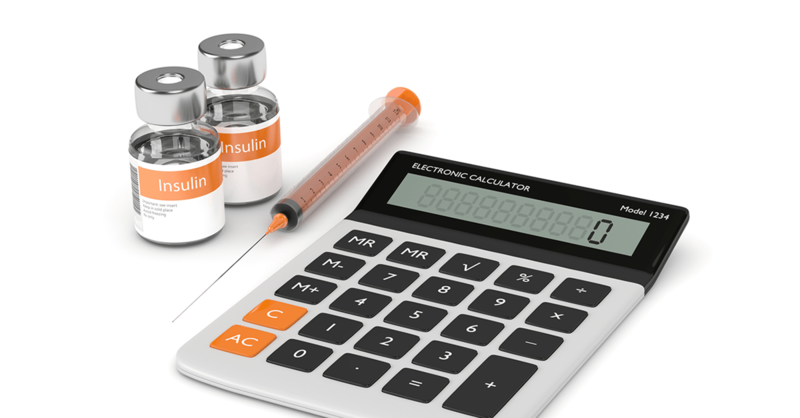 Because of cost, one-third of people on insulin aren’t taking it as directed, according to a study in JAMA Internal Medicine. This can have disastrous consequences as patients put themselves at short-term risk for dangerously high blood sugar…not to mention the long-term risks for eye, kidney, heart and nerve damage. Review your insulin needs with your doctor. While there’s no generic insulin available yet, some brands have been on the market longer and therefore cost less. The long-lasting once-a-day injections are more convenient, but twice-a-day drugs are typically cheaper. Have a frank discussion with your doctor to explore whether a lower-cost insulin regimen will work for you. Know your health insurance plan’s drug formularies. This will tell you the price tier for each type of insulin. Formularies are different from one insurance company to another, so if you’re on Medicare or are self-insured, be sure to compare the drug prices for different plans during the annual open enrollment period. It may pay to switch plans. Ask about drug programs that help with costs. Your doctor or diabetes educator may have coupons or rebate forms for insulin from the drug companies that manufacture them. However, if they’re only for newer drugs, these medications could still be pricier than older ones, even with the discount. Do the math before deciding. All the insulin manufactured in the US comes from just three companies, and they all—Eli Lilly, Novo Nordisk and Sanofi—offer some level of assistance to people who meet their eligibility requirements. You may be eligible for free or low-cost insulin programs from independent assistance programs such as Needy Meds, Partnership for Prescription Assistance, Rx Assist, and Rx Hope. The Charles Ray III Diabetes Association provides meters, strips and other supplies to those who cannot afford them, freeing up some of your budget for insulin. Shop around to compare costs. Prices can vary considerably from pharmacy to pharmacy. Your neighborhood drugstore may charge more (or less) than the chain at the strip mall. Prices can vary even between outlets of the same chain of stores. So take the time to call around and get quotes before you fill your next prescription—and don’t forget to include the pharmacy at the discount shopping club you belong to. You also may be able to save money if you use the mail-order pharmacy connected to your insurance plan—buying one 90-day supply is cheaper than three separate monthly refills. Sign up for pharmacy rewards programs. Some national chains offer shopping benefits after you fill a certain number of prescriptions. While the rewards aren’t applicable to the cost of medications, you can use them to cut the bill for your other drugstore items. Also look for various discounts offered when you buy online, such as savings when you sign up for auto shipments. These discounts will apply to testing supplies, not the insulin itself. But saving on items such as test strips will reduce your total diabetes medication outlay. There are also independent medication discount plans that offer savings at thousands of pharmacies across the country without any paperwork. Reduce your need for insulin. If you haven’t already gotten serious about diet and exercise, doing so now could still have a profound effect on your diabetes. Remember that the more junk food you eat, especially food with refined carbs such as cookies, cake, muffins and sugary beverages, the more insulin you need to control blood sugar. Work with a nutritionist and a fitness trainer to develop a life plan for better blood sugar control. Note: Never change your medications without consulting your doctor. Consider joining a drug trial. Some research studies include free insulin and supplies for participants. You can find open trials at the National Institute for Diabetes and Digestive and Kidney Diseases. Another, less involved option is to sign up for focus groups where participation is compensated with free supplies. Ask your health-care team members if they know of these in your area. Stay tuned for more insulin options. That the US supply of insulin is controlled by just three companies helps explain escalating prices for a drug that’s nearly 100 years old. (Note: There are numerous lawsuits currently being brought against them on the public’s behalf.) Biosimilars, which are close but not identical drugs, are coming to the insulin market in March 2020 as part of the FDA’s response to sky-high insulin prices. It’s unclear how much (or how soon) this new competition will lower prices, but the goal is for it to ultimately make a difference. Talk to your doctor about switching to a biosimilar when one is available. Should I Take Gymnema Instead of Metformin for Diabetes?